You may feel your mirror’s reflection does not match the youthful and vibrant way you still feel inside. Many people indicate that seeing an aged, tired appearance reflecting back at them actually makes them feel physically older. Everyone ages differently, and the rate of aging in facial skin is affected by nutrition, smoking, the physical environment, genetics, weight fluctuations, menopause and of course, the passing of time. The face lift is a surgical procedure that is performed to improve the visible signs of aging in the face and neck by tightening and repositioning the muscles and skin in those areas. Dr. Barr’s facelift techniques effectively reduce or eliminate symptoms of facial aging such as sagging, jowls, deep lines and excess skin. 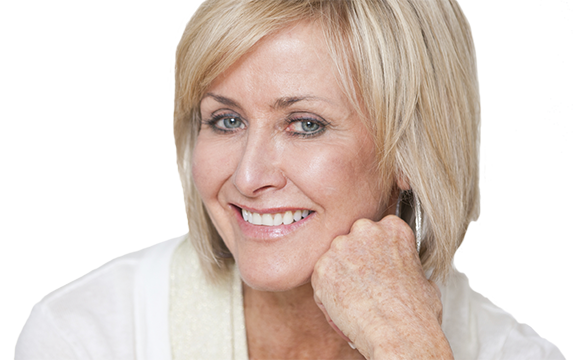 Dr. Barr’s facelift patients report feeling more attractive, confident, and youthful after their procedure. If you are considering a face lift procedure, please continue reading for further information on this procedure and what you can expect. If you have any questions about face and neck lifts, or any of our other procedures, please contact us. Schedule a Face and Neck Lift Consultation with Dr. Barr. What are the Benefits of a Face Lift Procedure? By focusing on the each patient’s unique facial characteristics, Dr. Barr creates a natural-looking, dramatically more youthful appearance by lifting the sagging facial tissues and muscles of the face. The hallmark of a face lift procedure at Barr Plastic Surgery is a natural-looking, firmer, noticeably younger facial contour. What is the first step in pursuing the face lift procedure? The first step when considering face lift surgery is to schedule your one-on-one consultation with Dr. Barr. The consultation process provides an opportunity for you to obtain important information about the procedure and to have all of your questions answered prior to proceeding with surgery. It also enables Dr. Barr to properly assess you and determine whether you are a suitable candidate for a face and neck lift. You should be prepared to discuss your medical history, including any medical conditions, drug allergies, medical treatments you have received, previous surgeries, all current medications, as well as any significant weight gain or loss. During your consultation, Dr. Barr will assess your health history and complete a physical examination during which he will carefully examine your facial aging, underlying bone structure, skin thickness, texture and elasticity. Your assessment will provide the foundation for your consultation, where your individual concerns and expectations will be thoroughly discussed, along with alternatives to the face lift procedure. The benefits, risks and potential complications associated with face lift surgery will be thoroughly explained during this consultation. The information provided at this initial consultation will be comprehensive and thorough, and should enable you to make an informed decision as to whether or not face lift surgery is the right choice for you. A comprehensive instruction package, which will include instructions for both before and after surgery, will be provided to you at the time of consultation. Am I a candidate for a face lift procedure? Can I combine another surgery with my face lift procedure? It may be possible to schedule another surgery at the same time as your face lift procedure. You should be prepared to discuss all possibilities during your consultation with Dr. Barr. Where will my face lift procedure be performed? The Northern Ontario Surgical Centre has been awarded accreditation by the CAAASF (Canadian Association for Accreditation of Ambulatory Surgery Facilities) for meeting the standards of a hospital in regards to monitoring, emergency and resuscitation equipment. With two levels and entrances that conceal the actual size of the facility, the centre itself spans 8000 square feet and incorporates fully equipped major and minor operating rooms, a monitored multi-bed recovery area, 10 laser and treatment rooms, spacious consultation areas, private offices to discuss financing options, elegant waiting areas and a private waiting and secure rear entrance/exit for additional privacy when desired. How is a face lift procedure performed? There are two main types of face lift procedures: a Rhytidectomy, which includes a Neck Lift, and a Mini-Rhytidectomy, which does not include a Neck Lift. Dr. Barr also performs Short Scar Face Lifts which incorporate new incision techniques to disguise scarring. Face lift incisions are well hidden in the natural creases around your ear, scalp, and when needed, under the chin. The excess skin and fat are removed, the underlying muscles and deep soft tissues are tightened and the skin of the face and neck is re-draped. This results in natural looking facial rejuvenation while avoiding the pulled, unnatural face lift appearance that is seen too frequently in the media. This procedure can take between 2 to 3 hours depending on a number of factors. To maximize patient comfort, this procedure is performed under general anaesthesia. This procedure is primarily for younger patients who do not yet have excessive aging of the neck. A Mini-Rhytidectomy improves your nasolabial folds, marionette lines, mild jowling, and the descent of the cheek fat pad. Incisions are made in front of and inside your ear (hidden in the natural ear creases) and minimally into the hairline. No incision is made behind your ear or your chin. This procedure if often performed under general anaesthesia. Dr. Barr also performs the short scar face lift. The short scar, or limited incision, facelift is a surgical technique that achieves the same result as a facelift but with significantly less visible scarring. The scars from a facelift generally extend behind the ear into the hairline. With the short scar technique, a very small incision is made just above and below the front of the ear. Instead of a scar in front of the ear, it is placed inside the ear. This technique eliminates the hairline scar behind the ear which allows women to wear their hair up without the fear that someone will notice their surgical scars. This method provides improvement in both surgical and recovery time when compared to a traditional facelift. Will I look “overdone” or unnatural? One of the concerns face lift patients discuss prior to their procedure is their fear of looking overdone, unnatural, or as though their face has been obviously pulled back. Dr. Barr’s face lift technique ensures that incisions are inconspicuous and well hidden, and that the aesthetic outcome creates a younger looking you that does not appear pulled or unnatural. An expertly performed face lift procedure by Dr. Barr can take years off your facial appearance. How much does a face lift procedure cost? Pricing for your face lift procedure will depend on which type of face lift procedure you have and whether you have concurrent procedures along with your face lift, and will be provided to you during your consultation. Face and Neck Lifts are considered cosmetic surgery and therefore not usually covered by private or provincial insurance such as OHIP. There is a $500 deposit for any surgery under $5,000, a $1000 deposit for any surgery over $5000, and a $2500 deposit for any surgery over $10,000. Will I need to stay overnight following my face lift? Face lift surgery is an outpatient procedure and you will be required to stay for a few hours after surgery. Following your release you will need a friend or family member to pick you up and care for you for 24-48 hours. This person should be familiar with your prescriptions and post-surgery instructions. How long will it take me to recover from my face lift procedure? Many patients find they are able to be up and around within a day, but activity should be limited for at least one week. Fine sutures around the ear are removed painlessly during a follow-up assessment 12-14 days after surgery. Some bruising, swelling and discomfort will be present for up to two weeks. Most patients find that they are able to mask their residual bruising with makeup and return to work within 10 to 12 days. You should only participate in light activity for the first four weeks following surgery. After four weeks most patients are able to return to normal activity, including heavy lifting. After your face lift procedure with Dr. Barr, a dramatic difference will be visible in your facial and neck appearance. Deep folds and creases are diminished, sagging skin is lifted, and the overall facial appearance is more youthful and refreshed. Specifically you will note a significant elevation in the prominence of your cheeks, as well as a dramatic softening of the nasolabial folds, marionette lines and jowls. Dr. Barr takes every precaution to ensure your scarring is as minimal as possible. However, as with any surgery, there is a risk of scarring from the incisions. Once your incisions have healed there are products that can be used to minimize the redness in scars as well as improve the texture. Reusable silicone strips as well as medical grade topical scar creams are available for purchase that will help to reduce the discolouration found in new scars. Precautions that can be taken to minimize scarring will be discussed during consultation.